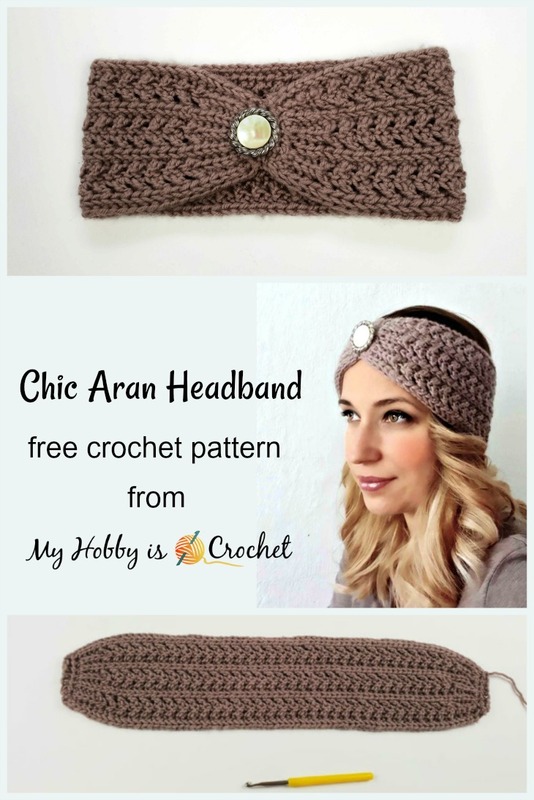 The Chic Aran Headband is the third free crochet pattern in my Chic Aran Series. 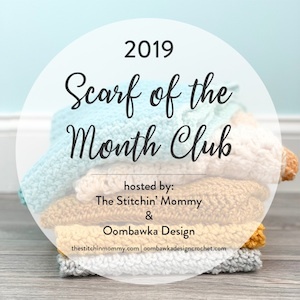 The first one was the Chic Aran Cardigan and the second one the Chic Aran Cowl. *Disclaimer: This post includes affiliate links and at no additional cost to you, I might earn a small commission if you decide to purchase through these links. Thank you! The yarn was provided by Red Heart Yarns. 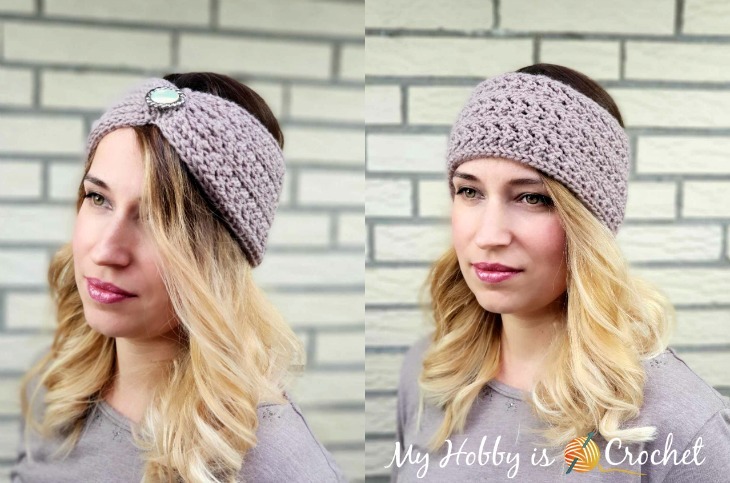 This pretty headband is worked lengthwise in rows using an interesting combination of front and back crossed double crochet stitches that create the aran pattern. The knit like stitches are made with the special stitch yarn over slip stitch. Width: approx. 4” (10cm) at the widest part and approx. 2” (4.5) cm at the narrowest part. Note: It’s best to make it a bit tight, since the headband will stretch. 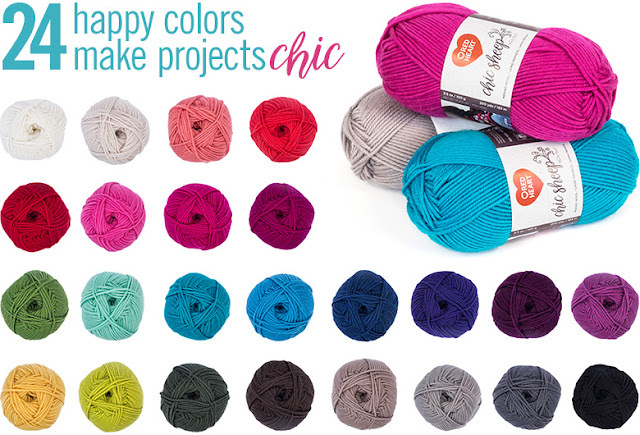 Finished project yardage: 50 g.
Click on the yarns to buy Chic Sheep yarn on Red Heart site! - back bump of chains. See my picture tutorial. 1) Yo-slst = yarn over slip stitch: Yarn over (yo) and insert the hook into the indicated st. Yarn over and draw the yarn through the chain. Having the 3 loops on hook, pull/slip the first loop on hook through the next 2 loops on hook to complete a Yarn Over Slip Stitch (yo-slst). 2) Yo-slst-blo = yarn over slip stitch back loops only: work the same as above, but inserting the hook in the back loops of sts. yarn over hook, insert the hook into back loop of the first first st, then into the back loop of the next st; Yarn over and draw the yarn through; you’ll have 4 loops on the hook; Slip the first loop through the next 3 loops on hook to complete a decrease st.
By working these variations of the cross stitch, you will get stitches, which although crossed, are not entangled with each other. 4.1) Back Crossed Double Crochet (bcr dc): sk 1 st, work 1 dc into the next st, 1 dc back into skipped st going behind the last dc just made, so as not to catch it. 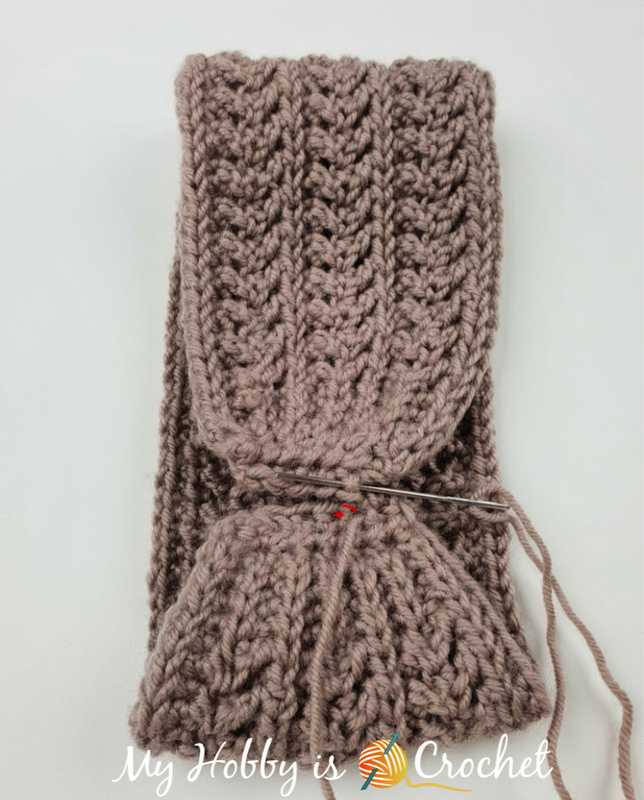 4.2) Front Crossed Double Crochet variation (fcr dc): sk 1 st, work 1 dc into the next st, 1 dc back into skipped st going in front of the last dc just made, but inserting the hook into the skipped stitch from back of the work to the front. This is an important step to obtain the arrow look of this aran pattern. 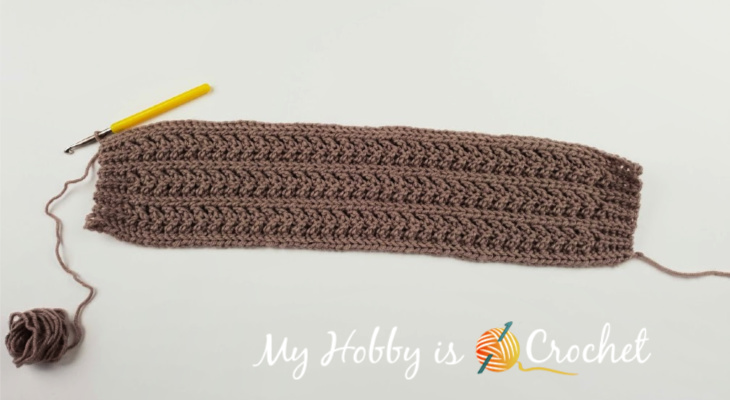 You can watch this Video of to see how to insert the hook for this kind of Front Crossed Double Crochet. 4.3) Back Crossed Half Double Crochet (bcr hdc): sk 1 st, work 1 hdc into the next st, 1 hdc back into skipped st going behind the last hdc just made, so as not to catch it. 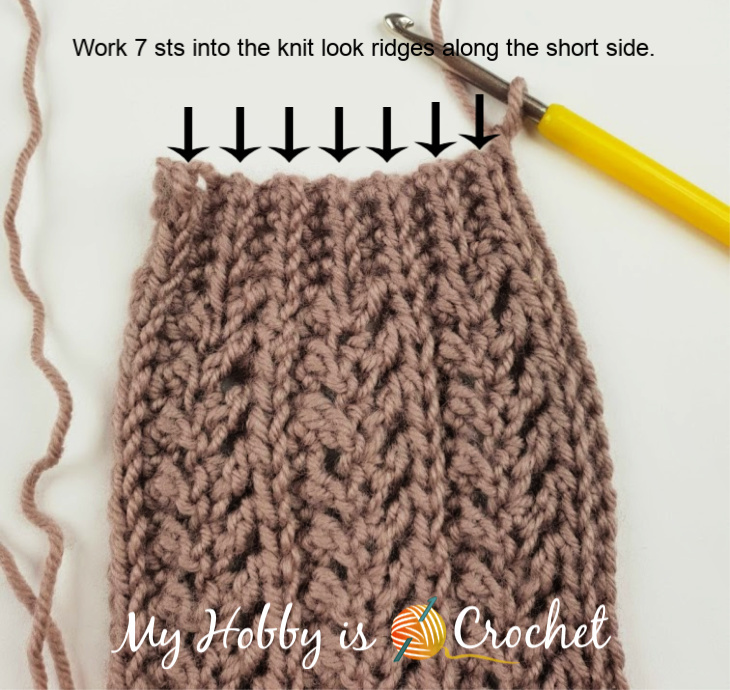 4.4) Front Crossed Half Double Crochet variation (fcr hdc): sk 1 st, work 1 hdc into the next st, 1 hdc back into skipped st going in front of the last hdc just made, but inserting the hook into the skipped stitch from back of the work to the front. NOTE: When written 1bcr dc or any of the crossed sts, it is meant 1 group of 2 sts; 1bcr dc = 2 dc sts crossed. Using a 5 mm crochet hook and leaving a long yarn tail, ch 77, turn. Note: the long yarn tail will be used at the end to crochet 3 rows on the short side of the headband. Rows 7- 14: Repeat as rows 3-6. Continue working on the Short Side of the head piece. We will make some decreases! Note: You’ll decrease 1 st at the beginning and 1 st at the end of the row. Cut yarn. Fasten off. Weave in the end. On the other short side chain one using the long tail of yarn you left at the beginning of the work and repeat rows 1-3 from the first short side. Fasten off. inserting the needle around the sts on first side and the corresponding sts on the other side, as shown in the picture below. Sew a decorative button in the middle of the narrow part. Wear it as you like, either with the narrow part at the front, or at the back. For more free crochet patterns and tutorials, please visit my FREE Crochet Pattern Page! Don't miss out new free crochet patterns, tutorials and other updates from My Hobby is Crochet! Subscribe to our FREE Newsletter and follow My Hobby is Crochet on Facebook, Pinterest , Bloglovin , Google+, Instagram and Twitter. This pattern is free for your personal use, you can sell the products of your work, a link back to my blog would be appreciated. Do not use my photos for selling purposes or modify them in any way. Please don't repost the pattern itself to any other sites, but please share the link to the pattern if you want to share the pattern with your friends. You may not give away copies of this pattern. Do not make video tutorials or translate my pattern in other languages without my written consent!